Nadia Samdani is a second-generation art collector who began her own collection at the age of 22. Along with her husband, she founded the Samdani Art Foundation in 2011. Besides being the Foundation’s president, Nadia is a member of the Tate South Asia Acquisitions Committee and is part of the Parasol Unit’s International Committee. Rajeeb is the Managing Director of a leading Bangladeshi conglomerate, the founder of TAC Charitable Hospital and the Alvina Samdani Trust and the Co-Chair founding member of the Tate South Asian Acquisitions Committee. They are both members of Tate’s International Council and of the New Museum’s International Leadership Council. 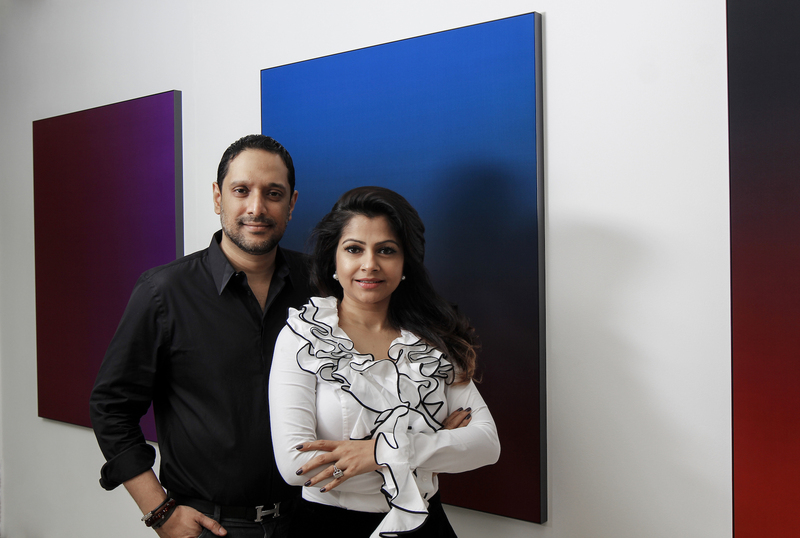 They have shared with Larry’s List their passionate story about their South Asian collection and private international collection, as well as their vision for establishing the Samdani Art Foundation and the Dhaka Art Summit. Nadia and Rajeeb Samdani. Photo: Noor Photoface. Courtesy of the Samdani Art Foundation. I come from a collector’s family, I always lived around art and collecting art was a natural progression. I have been collecting since my early 20s – and Rajeeb and I have been collecting for the last 10 years. I have been privileged to be surrounded by some of the finest artworks by Bangladeshi Modernist painters from my parents’ collection. The first piece of art that I fell in love was a painting by SM Sultan. You have two collections in parallel: a South Asian collection and your private international collection. Why is this separation? How do you manage the two collections differently? South Asian art has always been a focus for us and the foundation. We stepped into the art world by collecting South Asian art. We always felt it is important to build a South Asian collection strategically considering its rich history and vibrant art scene not only for our time but our future generations as well. South Asia had a vibrant shared culture for nearly 5,000 years which was split apart by the partition of India in 1947. We collect art from across the region to bring these shared histories to light. Our South Asian Collection is the foundation’s collection which is being collected with a lot of research led by Samdani Art Foundation’s artistic director Diana Campbell Betancourt. In our South Asian collection, it spans modern to contemporary art and also includes artists from the South Asian diaspora, such as Anish Kapoor, Rashid Araeen, Chitra Ganesh, and many others. Our international collection is our journey as collectors, what we have seen around the world and felt connected to. But our international collection is often influenced by our South Asian art collection and we draw parallels between the two collections, which will be more apparent once we open our permanent art space in Sylhet next year. Although both collections are different, we display based on themes rather than where the art comes from. 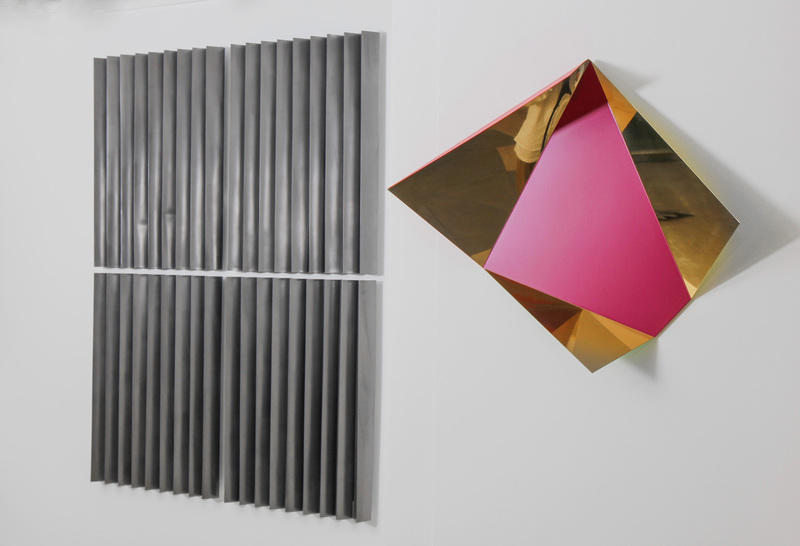 From left: Ayesha Sultana, Untitled (2016); Rana Begum, No. 385 (2013). Courtesy of Samdani Art Foundation. For your private international collection, what is your focus regarding the artists in your collection? Are you more interested in emerging or renowned artists? Our international collection is a teaching tool for young artists in Bangladesh, and in that regard the span is wide – from Rembrandt etchings to works by emerging American artists made just this year. We like to collect works that push boundaries and show the breaks in thinking and technique that come to define different art movements. There are no international art museums in Bangladesh – so we do what we can to bring some of the art that touches and challenges us on our travels to the country for Bangladeshi audiences to enjoy. We have a strong interest in minimalism and how it is articulated in South Asian art – this is a strong strand of the collection with works by Rasheed Araeen, Prabhavathi Meppayil, Rana Begum, Waqas Khan, Ayesha Sultana, and many others. But this is just one of many strands in the collection. From Left (wall): Rashid Choudhury, Untitled (1982); Rashid Choudhury, Untitled (1979); Rashid Choudhury, Untitled (1979); Rashid Choudhury, Untitled (1975); Anwar Jalal Shemza, Red and Green Relief (1976); Rasheed Araeen, Burgundy Light (1971). Centre table: Claudia Wieser, Untitled (2015). Side table left: Mimosa Echard, Untitled (2014). Courtesy of Samdani Art Foundation. 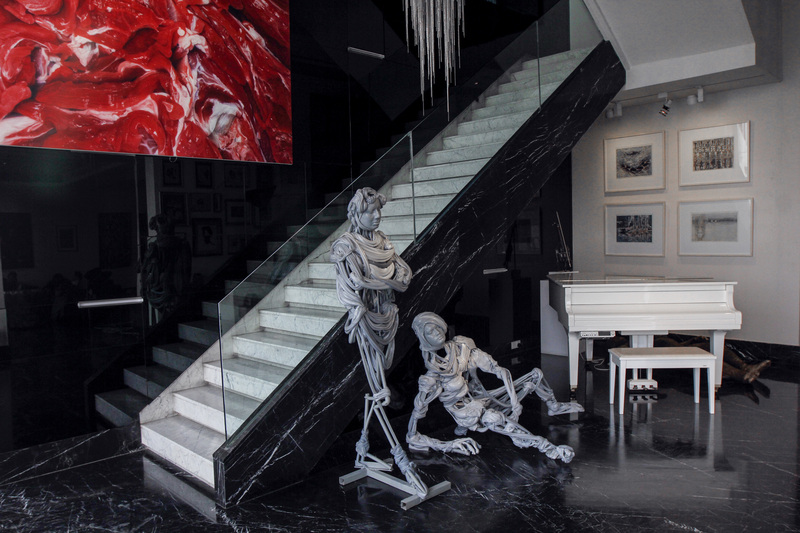 From left: Marc Quinn, Meat Painting (2013); Pawel Althamer, Safik (2011); Pawel Althamer, Nahid (2011); Krishna Reddy, Whirlpool (1963); Krishna Reddy, Demonstrators (1968); Krishna Reddy, Waterlilies (1959); Krishna Reddy, Apu in Space (1970s). Courtesy of Samdani Art Foundation. What was the latest artwork you purchased? The latest artwork we acquired was a sensual multimedia sculpture by Laure Prouvost, and Waqas Khan’s first white-on-white drawing that is currently being exhibited at the Manchester Art Gallery in his first solo museum show. How many artworks do you own? How many do you display at home and exhibit at your foundation respectively? The total collection of the foundation exceeds 2,000 works and at the moment, we have about 150 works on display in different locations. We re-hang our collection every 18 months. Alicja Kwade, Hypothetisches Gebilde (2017). Courtesy of Samdani Art Foundation. Our wish list is endless. It is always a privilege to meet the artist and to get to know them personally and understand the person behind the art we enjoy so much. We have been very lucky to be friends with a lot of the artists we collect. How do you plan to develop your private international collection in the next five or ten years? Currently, we are enjoying our journey as collectors, but we do want to develop it by collecting more emerging South Asian and international artists and growing along with their journey. Nadia Samdani. Photo: Noor Photoface. Courtesy of the Samdani Art Foundation. What is your motivation behind establishing Samdani Art Foundation? The Samdani Art Foundation is a solely non-commercial entity, which is unique to both Bangladeshi and a rarity across the South Asian region. 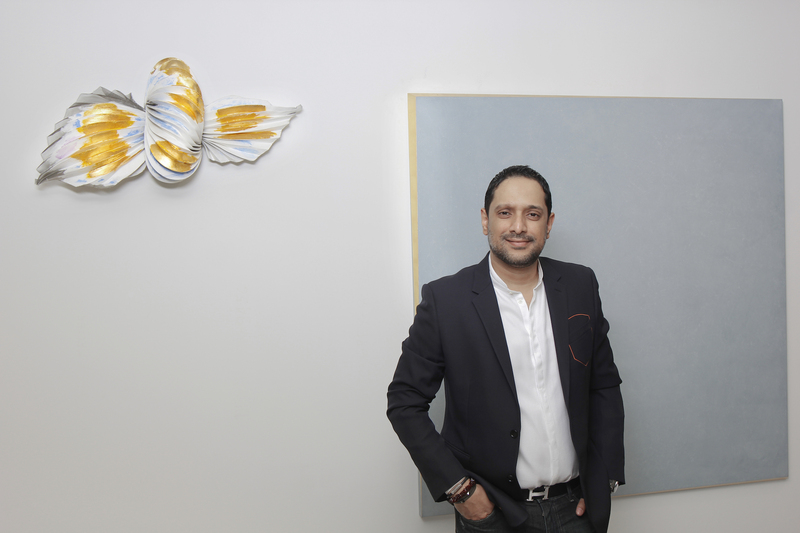 The main motivation behind the foundation was that we wanted to support South Asian art and to create a platform for South Asian artists– filling a void we saw in the region and the rest of the world. Is your collection fully open to the public at the foundation? Our collection is open by appointment. 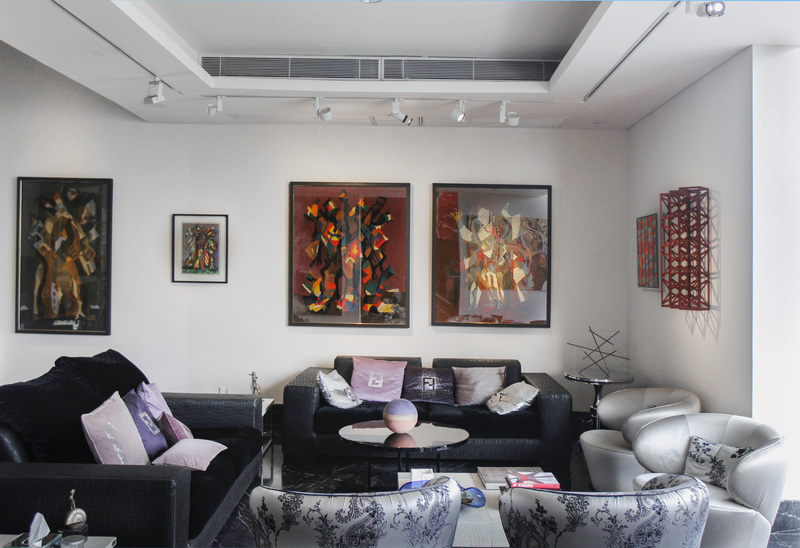 We regularly have visitors and we often lend art works our collection to museums, biennales, exhibitions etc. We are in the process of building a permanent Sculpture Park space in Sylhet for our foundations’ collection called Srihatta Samdani Art Centre and Sculpture Park which will be open to the public by end of 2018. We also host the Dhaka Art Summit bi-annually which is ticketless and open to the public. Exterior of Srihatta Residency. Courtesy of Samdani Art Foundation. What are the achievements and challenges of the Foundation so far? Although we are a young foundation, our Dhaka Art Summit has put Bangladesh on the global art map. 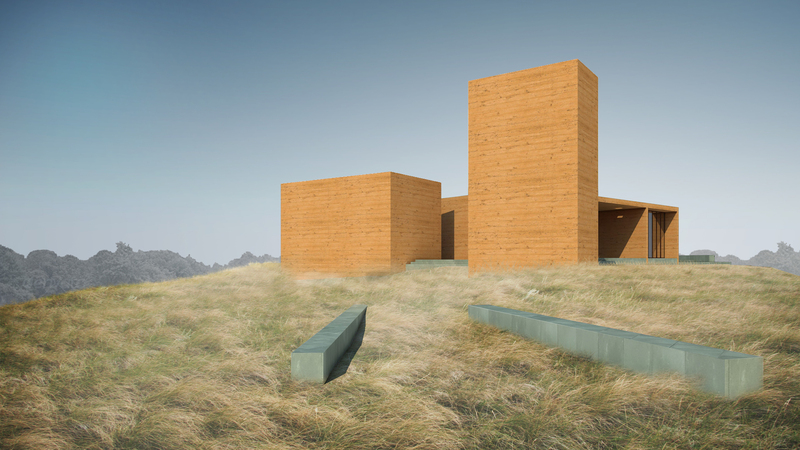 We are in the process of building our sculpture park in the north-eastern part of Bangladesh. The first phase will open in 2018. We have hosted some of the most inspiring artist for Samdani Seminars to give workshops for the young Bangladeshi artists. Another success of the Foundation is that we have a network called Samdani Artist-Led Initiatives Forum, where we have 12 artist-led initiatives as our members. We do face a lot of challenges but nothing too serious. I think these small challenges are helping us grow stronger and to think in more innovative ways. You also organized the Dhaka Art Summit. What do you want to achieve through it? 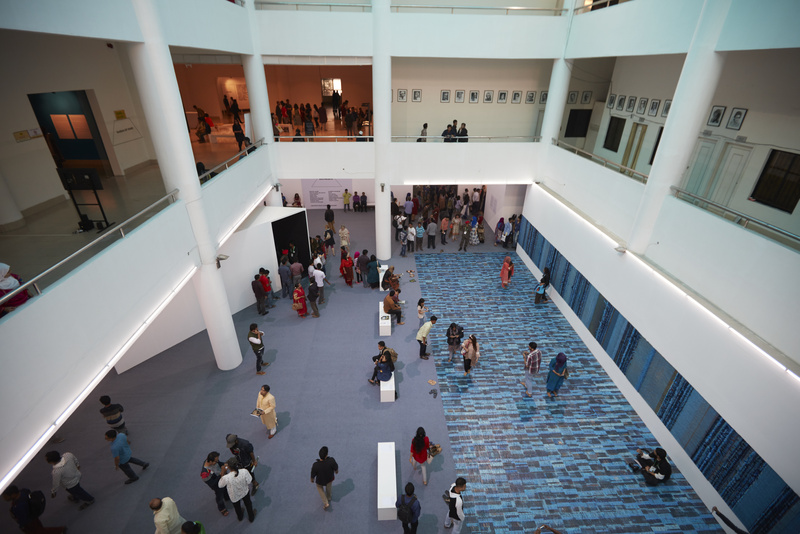 Dhaka Art Summit is the single largest non-commercial platform for South Asian art where people can come from all over the world and discover its vibrant art scene within the region itself. We have successfully organized 3 editions and our 4th edition is coming up in February which is yet to be our most ambitious edition. At the Dhaka Art Summit, we bring together artists, collectors, patrons, museums, writers, curators, art historians, critics and many more intellectuals from all over the world. It has become a wonderful hub for world-class shows, conversations, critical writing, performance, films etc. What is your vision for Samdani Art Foundation and Dhaka Art Summit respectively in the next five years? For the next five years, we will be spending a lot of time focusing on Srihatta Samdani Art Center and sculpture park, and we would work on making it a world-class art destination and a hub for artists from around the world to come and produce work with us via personalized residency experiences. For Dhaka Art Summit, we are currently focused in the upcoming 4th edition. We change the format every edition as the world is changing so quickly, and we will dynamically adapt to the times we are in. How is your experience participating in various committees, including Tate South Asian Acquisitions Committee, Tate’s International Council and the New Museum’s International Leadership Council? Participating in various museum committees and international councils is a great learning experience for us. It is wonderful to learn about a world-class museum’s collecting strategy, and also great to lean about certain artist in great depth. Rajeeb Samdani. Photo: Noor Photoface. Courtesy of the Samdani Art Foundation. Can you name emerging South Asian artists who should be on our radar? Ayesha Sultana (Bangladeshi), Bhagyashree Suthar (Indian) and Munem Wasif (Bangladeshi). What are you especially excited about the South Asian art scene in the next 12 months? We are excited the most about Dhaka Art Summit, which is from 2nd – 10th February 2018. 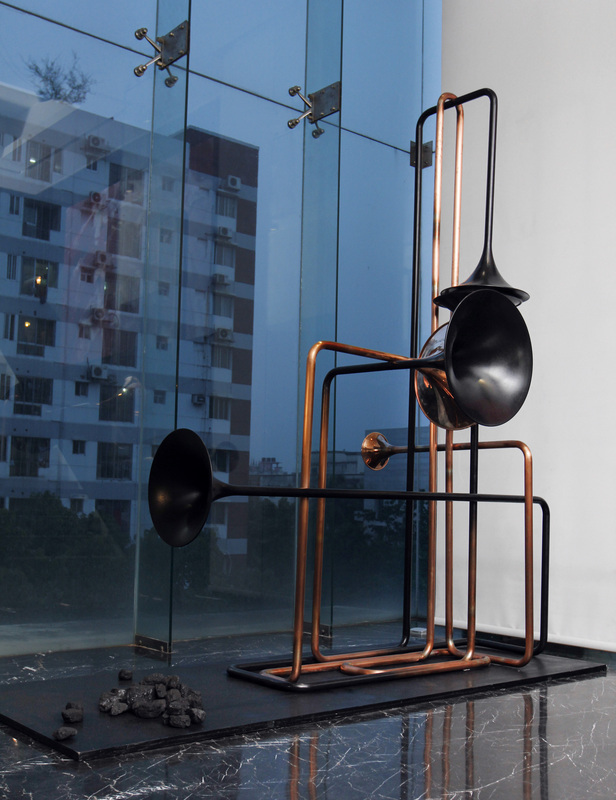 We are also excited that several of the shows produced by the Dhaka Art Summit will be travelling around the world for the 12 months following our show in Dhaka. 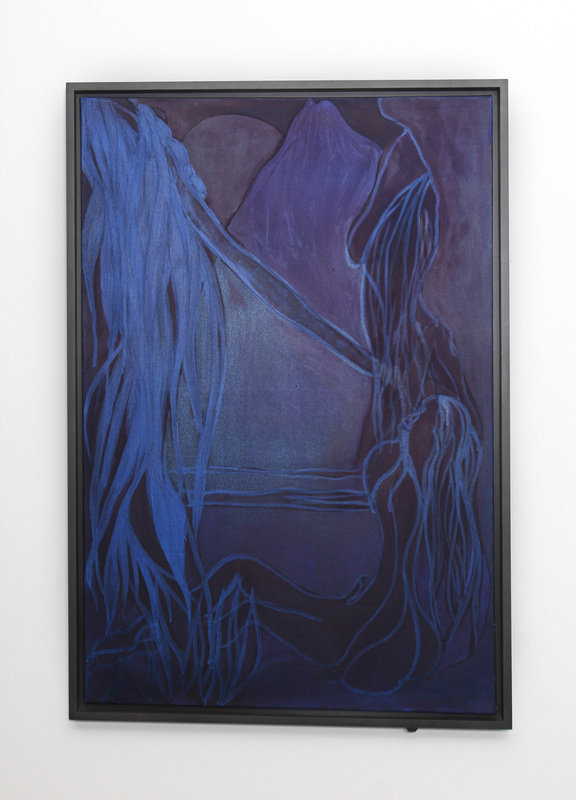 Chris Ofili, Blue Lazarus (2007). Courtesy of Samdani Art Foundation.